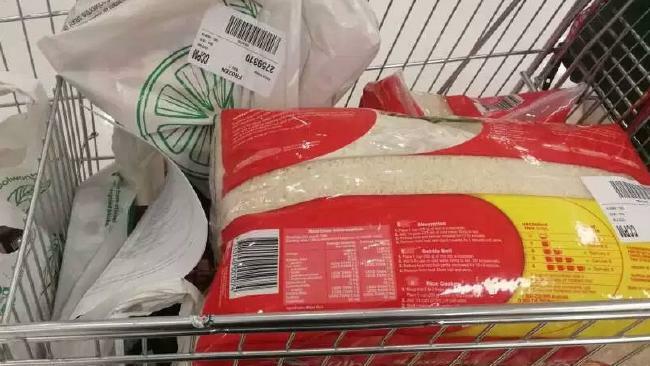 Serina ended up with way too many bags of rice after purchasing a coupon to ‘save’ on groceries. I LOVE a good bargain. But when is a good bargain not a bargain? When you don't read the fine print properly and you end up buying things that you don't need. My partner Neil is rarely critical of me - hardly ever. But the other night I did something he disagreed with. He was out and I was about to sit down and write, but instead a flashing Groupon sale caught my eye and distracted me long enough to lead me astray. I quickly worked out that while there were some bargains, none of them were at places that I was likely to dine at in the near future. Feeling virtuous, I declared these 'wants' rather than 'needs'. Ha, I know how to avoid throwing money away on stuff I don't need! I was about to click off the site, when another voucher caught my eye - limited edition $5 for $20 Woolworths vouchers with 15 per cent cashback. That seemed like a good deal to me, so I snapped them up. I use plural because I bought not just one but the maximum number of five. I was so excited that I did not hesitate. What to do? Of course, I could just call it quits and realise that I had spent $21.25 on things that I didn't need. However, just then Neil came home and, on learning what I had purchased, decided to tease me about being lured in by clickbait. Well, that's what I aspire to be. So I went onto the Woolworths site and trawled the brochure specials in search of bargains. But not just any bargains - things we would actually use. This was a little hard as we try, for the most part, to avoid processed foods. Well, perhaps some half-priced Tim Tams made it into the shopping basket, along with a half-priced large 400g jar of Moccona coffee. Tim Tam slam perhaps? Hmm, Messina influenced choc-mint flavours. To hell with fitting into the wedding dress. We bought a few other wedding party supplies, too, such as cans of Coca-Cola (on special) to go with the scotch we bought duty free in June. We are sure that our guests will appreciate the Coca-Cola, although to be honest Neil is happy enough drinking generic brand cola for his own needs - I don't even drink Coca-Cola and rarely touch soft drink. 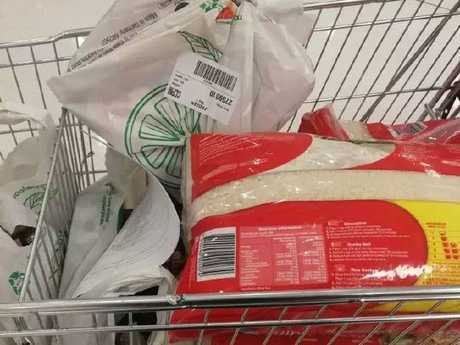 "Don't buy things just for the sake of buying them," Neil warned as I clicked 30kg of white rice, 4 litres of rice bran oil and five packets of wholemeal pasta into the shopping cart. "Oh, but these are really cheap and we will use them," I responded hoping that my positivism was convincing him that I really, truly was saving us money and had everything under control. "And there are so many things on special - some even half price," I added. This was correct: for certain products there were some great deals, although for everyday items in many cases ALDI remained cheaper. Did I mention half-priced Tim Tams? Definitely a want rather than a need (or was that the other way around?). I'll leave it to you to judge whether this was a bargain or not. I'll also be leaving it to Neil to help me find some space in our already overcrowded apartment to store 30kg of white medium grain rice and 4 litres of rice bran oil, plus all the rest. In the meantime, I've got four more vouchers to use so another $880 to spend in order to get some discounts. Any ideas on what I should buy?